Take care of your home by renovating its look every now and then. Give a modern look to your abode with the bright colors and begin a new trend. Keep your home updated with the trend and modernize your space. 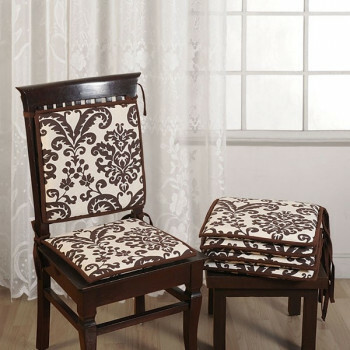 Buy brown colors chair pads from swayamindia.com and change the perspective of your guests towards your dining space. 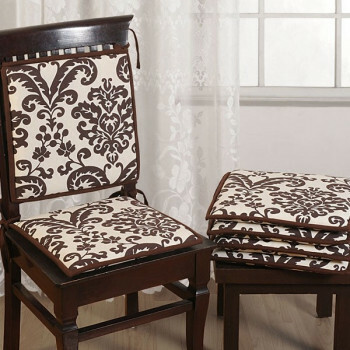 With an open heart, give a space for this dramatic style over your chairs. Began in Rome and slowly entrapped everyone around the world into its charm, folks this is baroque design. It is ancient art form that is still in use to enrich home interiors with a hint of sophistication. When you want to get a new look, you always search for the latest and attractive look. 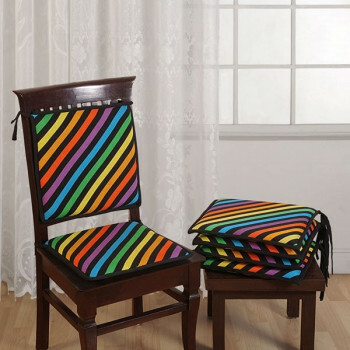 You can achieve the look you desire from now as swayamindia.com introduces a collection of home décor products. 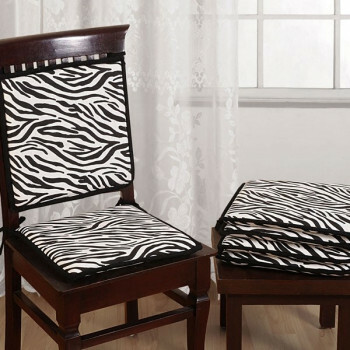 They comprise of many products out of which chair pads are the best. When you renovate your home, you always leave out your dining table set as they are but now you can give them an attractive appearance. 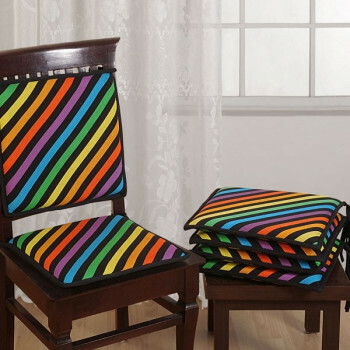 Chair pads are introduced in the market with excellent designs and colors to change the way you dine. Nobody wants to sit on a chair which is firm and rough. 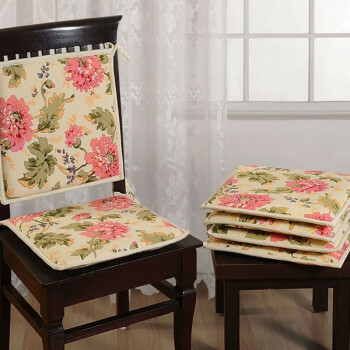 Everybody desires to have a comfortable time while having a meal but sometimes your chair fail to comfort you , this is where chair pads comes into play. These pads are the best in any case whether it’s for comfort or looks. Keep your home up up-to-date as no one wants to live in a place which is dull and outmoded. To make your home more alluring and supreme, new home décor products are developed every now and them. 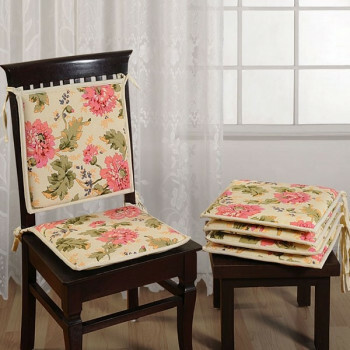 Dining chair pads are also one of the important items for your home specially your dining chairs. Create a better living space where you and your family can have a wonderful time around the dining table. Enjoy every meal of your day with a wonderful look and a soft cushion under you. 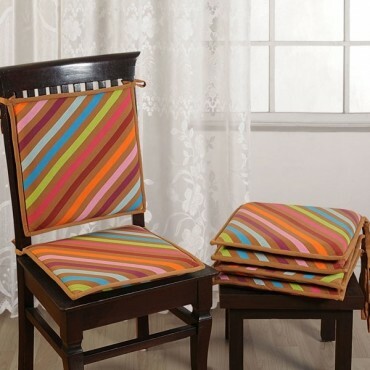 Let the dining chair pads bring a glamorous look and enhance your space the bright colors. Sit around the dining table with comfortable chairs and cozy arrangements. 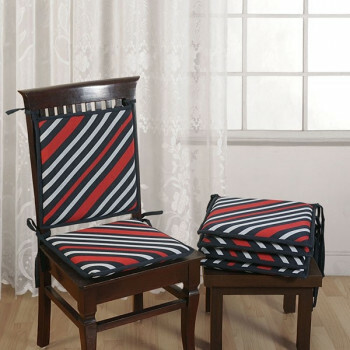 Buy chair pads online from online shopping portal swayamindia.com to keep up with smooth sitting and comfortable stay. Arrange your new outlook with comfortable solutions indefinite design and styles. The entire makeover presents an ideal personality for your home. The chair seat pads are soft and do not cause any kind of discomfort. 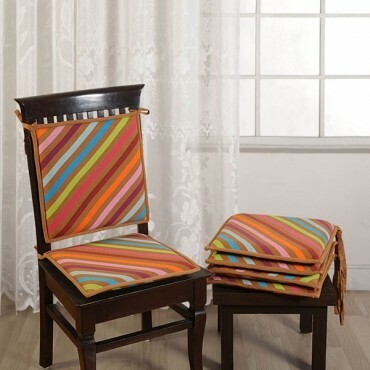 The alluring colors give your entire chair set a brand new look. 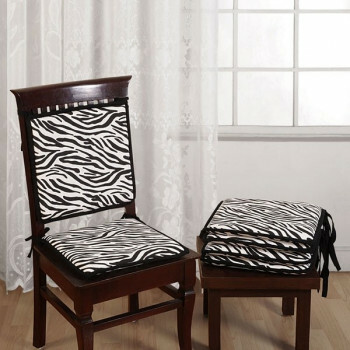 The chair seat pads can easily be tied to the seat and back for the number of styles. They are available for the variation in the design of colors and according to the concept of the dinette. Classy prints can well be observed on the number of available offers to maintain the true accessories. 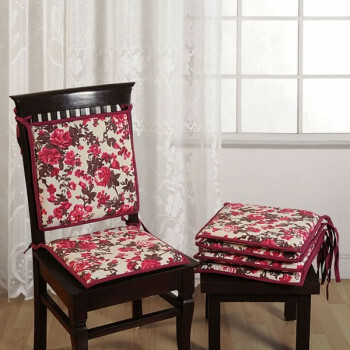 They can easily be built on the checkered prints and artistic floral patterns. The colors are best suited for the modern needs of every individual. Go on with smudge free prints that set to a new level and modernize a new era of designs. 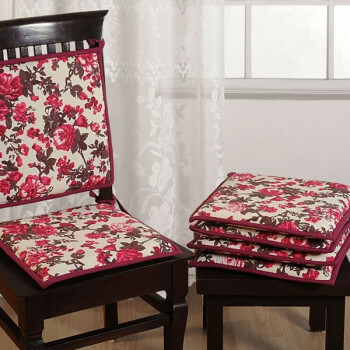 The dining chair pads are made using premium grade cotton with wider quality and respective benefits. They comprise of 40mm foam that distributes on a new level of comfort and mushiness options. They are reversible in nature with easy services and more rapid options. Rest on a new look with easy and washable options and can be dried easily. Refresh a new look at a reasonable price range. 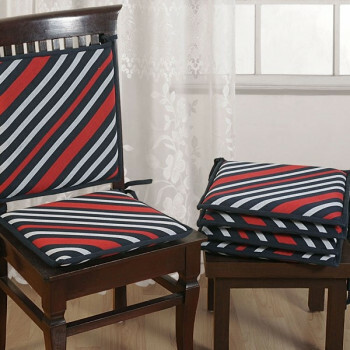 Buy chair pads online from our online shopping portal swayamindia.com with rich flavors and softer appearance.